Not everyone loved what they had to say. It’s been six days since The New York Times dropped its explosive report detailing allegations of sexual abuse against Hollywood producer Harvey Weinstein, and Hollywood is in flames. Overnight The New Yorker published a further report with more than a dozen other women alleging sexual misconduct against the powerful industry player. Gwyneth Paltrow and Angelina Jolie are among the many women sharing their own allegations of harassment. Other celebrities are talking about the rampant culture of assault more generally, and many have denounced Weinstein and taken a stand for survivors. After some considerable public cajoling, Ben Affleck and Matt Damon have now joined the latter group. In a statement posted on social media, Affleck has said he’s “saddened and angry that a man who [he] worked with used his position of power to intimidate, sexually harass and manipulate many women over decades”. Damon has opened up for the first time in an in an interview with Deadline. “We know this stuff goes on in the world,” he said. “I did five or six movies with Harvey. I never saw this. I think a lot of actors have come out and said, everybody’s saying we all knew. That’s not true. This type of predation happens behind closed doors, and out of public view. If there was ever an event that I was at and Harvey was doing this kind of thing and I didn’t see it, then I am so deeply sorry, because I would have stopped it. Pressure has been mounting on both Affleck and Damon, as Weinstein was a hugely influential force in both their careers. Weinstein was an executive producer on their breakthrough hit Good Will Hunting back in 1997 and has worked with both men a number of times since. Damon has faced particular public scrutiny after a report surfaced alleging he helped to kill a story about Weinstein’s many assault allegations back in 2004. Chastain has since accepted Damon’s statement and vouched for him — as has Sharon Waxman, the former New York Times writer who reported his actions had contributed to a story being killed. Other people have expressed frustration at Damon generally. Firstly for stating he didn’t know about what many have termed an “open secret” in Hollywood for all these years, and secondly for invoking his daughters in his statement. The latter is part of a broader problem of men seemingly only expressing condemnation for sexual assault in a paternalistic way. Despite coming forward with a full condemnation of Weinstein, Affleck has faced similar pushback from his statement. 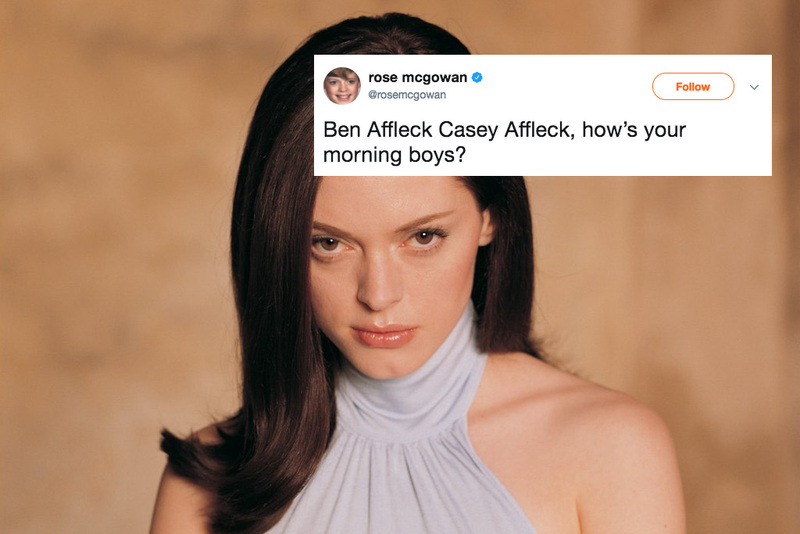 Rose McGowan — who settled a legal suit with Weinstein in 1997 — has alleged that he’s known of Weinstein’s sexual assault allegations for some time. Others have flooded his social media with accusations of hypocrisy. Ben Affleck never made a statement when the news broke about his brother Casey being accused of sexual assault by two women. Both incidents were settled out of court. Though the allegations have a cast a long shadow over his reputation in some circles, many have argued his continued success in Hollywood is proof of a toxic culture in Hollywood towards women. Casey Affleck won the Best Actor Oscar last year, to a divided reception. 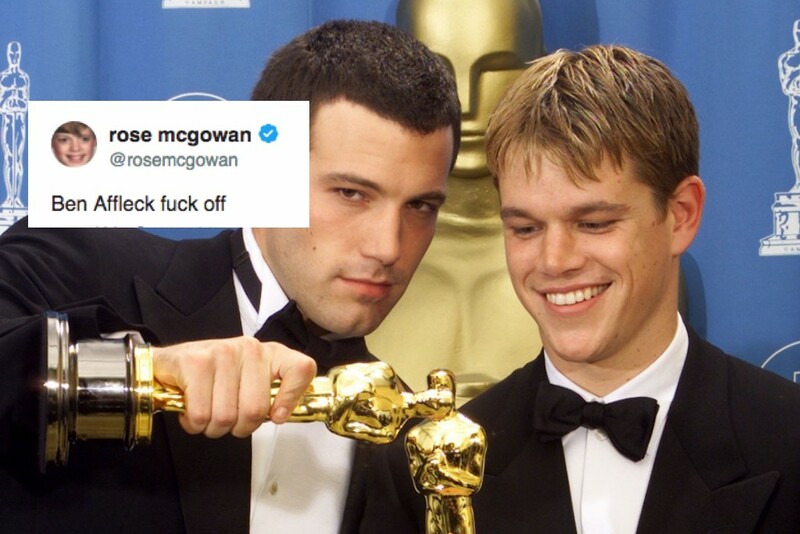 Regardless what you think about the statements from Affleck and Damon, it’s clear there’s a much deeper problem that needs to be addressed here. We’re only just getting started. Yo, after we're done with Harvey Weinstein, let's take down Donald Trump, OK? If you or someone you know is impacted by sexual assault, domestic or family violence call 1800RESPECT on 1800 737 732 or visit 1800RESPECT.org.au. In an emergency, call 000. Men can access anonymous confidential telephone counselling to help to stop using violent and controlling behaviour through the Men’s Referral Service on 1300 766 491.